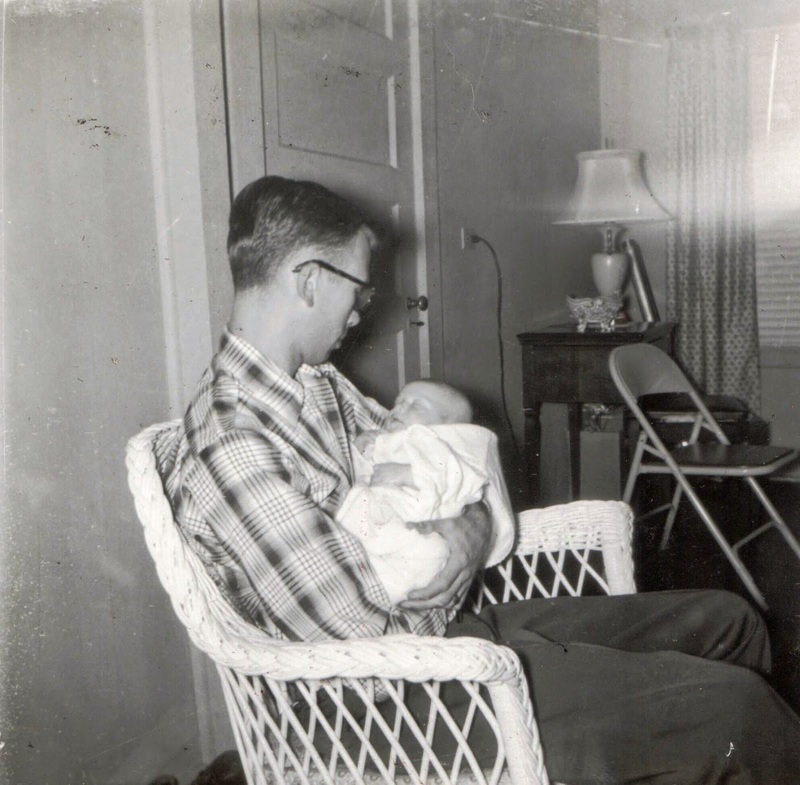 The Pendleton Genealogy Post: 52 Weeks of Sharing Our Memories - "Daddy and his baby"
52 Weeks of Sharing Our Memories - "Daddy and his baby"
He looks so young! He was 29 when I was born. He didn't realize what a handful I was going to be! This photo was taken at our old house on Alden Avenue about a month and a half after I was born. We moved to the present house just before I turned four. My mom still has that lamp in the background and the wicker rocking chair that my dad is sitting in. That looks like her sewing table the lamp is sitting on. She still has it, too. We had those metal folding chairs for years. In fact, there's one currently in the back yard but it's missing its seat. I think it'll make a cute yard ornament!